RJ Barker lives in Leeds with his wife, son and a collection of questionable taxidermy, odd art, scary music and more books than they have room for. He grew up reading whatever he could get his hands on, and has always been 'that one with the book in his pocket'. Having played in a rock band before deciding he was a rubbish musician, RJ returned to his first love, fiction, to find he is rather better at that. 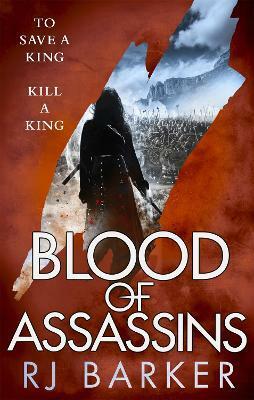 As well as his debut epic fantasy series, the Wounded Kingdom trilogy (Age of Assassins, Blood of Assassins and King of Assassins) RJ has written short stories and historical scripts which have been performed across the country. He has the sort of flowing locks any cavalier would be proud of.